WASHINGTON, DC — In 1807, a wealthy 37-year-old scholar was captured in West Africa, in what is now Senegal, and transported to the United States to be sold into slavery. That man, Omar Ibn Said, lived the remainder of his life enslaved in the American South, and his story might have been forgotten if not for the handwritten autobiography he left behind. 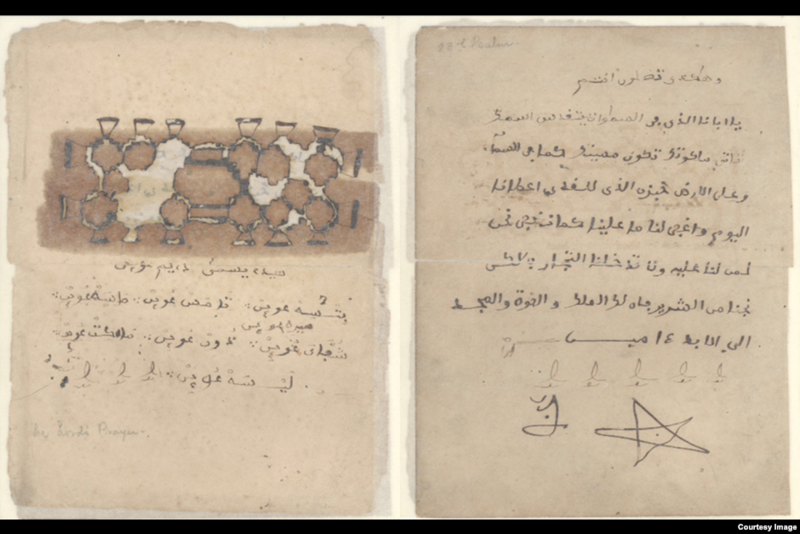 Written in Arabic and recently acquired by the Library of Congress, “The Life of Omar Ibn Said” is not only a rare handwritten personal story of an American slave, but it’s also one of the first intimate accounts of the early history of Muslims in the United States. 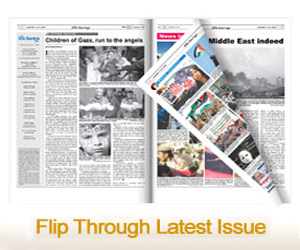 Ibn Said was among the approximately one-third of American slaves who were Muslim. While the exact number of enslaved Muslims is unknown, up to 40 percent of those who were captured and enslaved came from predominantly Muslim parts of West Africa. 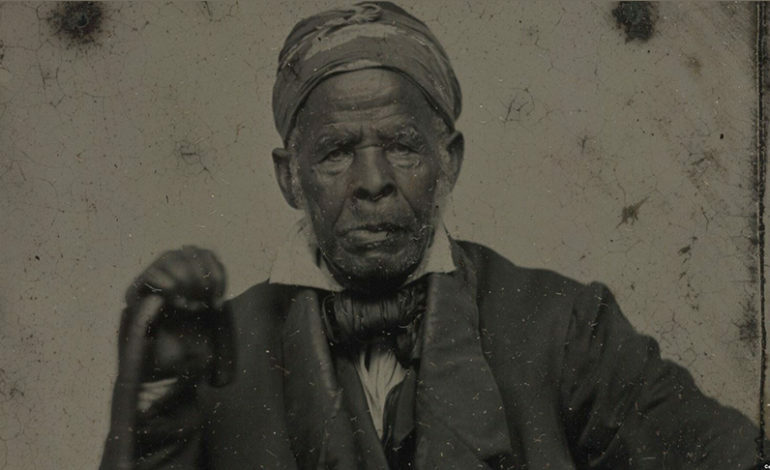 Enslaved African Omar Ibn Said’s autobiography, handwritten in Arabic, is now part of the Library of Congress collection. The subsequent erasure of the Black Muslim identity among the enslaved people in the United States was part of a strategy to strip enslaved Africans of their individual identities and reduce them to chattel both legally and in the public imagination. 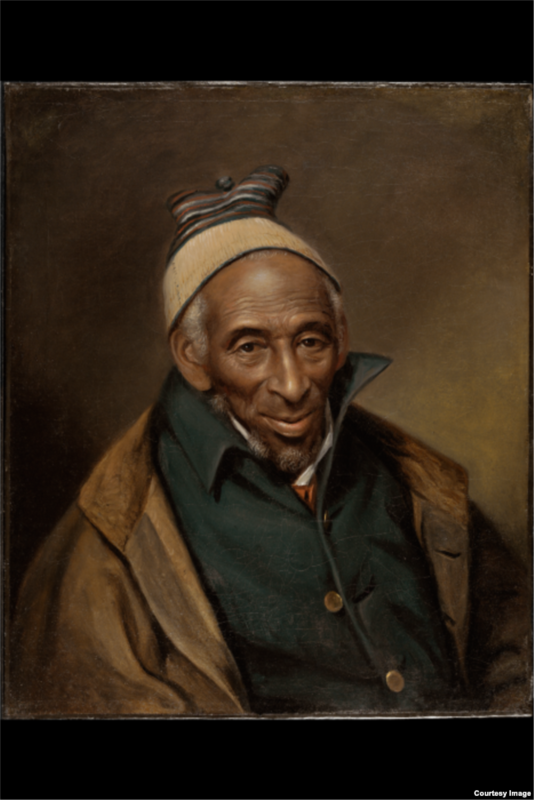 Muslim Yarrow Mamout (Muhammad Yaro) managed to buy his freedom after 44 years of enslavement. As an entrepreneur and homeowner, he continued to practice his faith (1819 portrait Philadelphia Museum of Art). During the antebellum period in the South, the Muslim identity took on very different identity from the stereotype of an African slave. This narrow understanding of both Muslims and Africans led to the widespread belief that the two identities could not overlap and helped hasten the erasure of Muslim African slaves from the historical record. In addition, the names of enslaved Muslims were often anglicized, which further obscured them from the history. Enslaved Muslims who left behind a written record challenged the idea that enslaved men and women were a brute workforce solely capable of physical labor because they lacked the intellectual capacity that would make them deserving of independence and freedom. “These were people who were essentially writing themselves into existence both in terms of leaving a record of their life but also in terms of challenging the racist assumptions about people of African descent,” Ali said. What we know about the masses of African Muslim slaves who left no written record can be garnered from the remembrances of their descendants and their names on bills of sale or runaway notices. How long they adhered to Islam is unknown. Some converted to Christianity while others pretended to convert in order to satisfy their captors. But there are signs that some enslaved Muslims held onto the religion of their homelands. Ali points to burial grounds on islands off the southern state of Georgia, where slave tombstones bear Islamic markings and churches that were built facing the east, the direction Muslims face while praying. And there are descendants who recall seeing their elders using prayer rugs and Islamic prayer beads. These recollections suggest that despite any coercion, some enslaved Muslims held onto their religious practices for life. While the existence of a sizable number of African Muslim slaves might not be well known to most Americans, they are believed to have left their mark on American culture. Author and scholar Sylviane Diouf has suggested that slave work songs are related to the vocal pattern of Quranic recitation and the call to prayer. Those work songs — such as “Levee Camp Holler” a century-old song that originated in Mississippi — eventually gave birth to the Blues. And Ali said it’s possible that the banjo and guitar came from a traditional West African instrument. Perhaps the most lasting legacy of Muslim slaves is the modern movement among some African Americans to embrace what they believe to be the original religion of their people. Beginning with the period of American slavery until today, Black Muslims continue to comprise the largest segment of the Muslim community in the United States.